Lebanese security forces fired tear gas and water cannons at protesters near the U.S. Embassy in Lebanon on Sunday during a demonstration against President Donald Trump's decision to recognise Jerusalem as the capital of Israel. 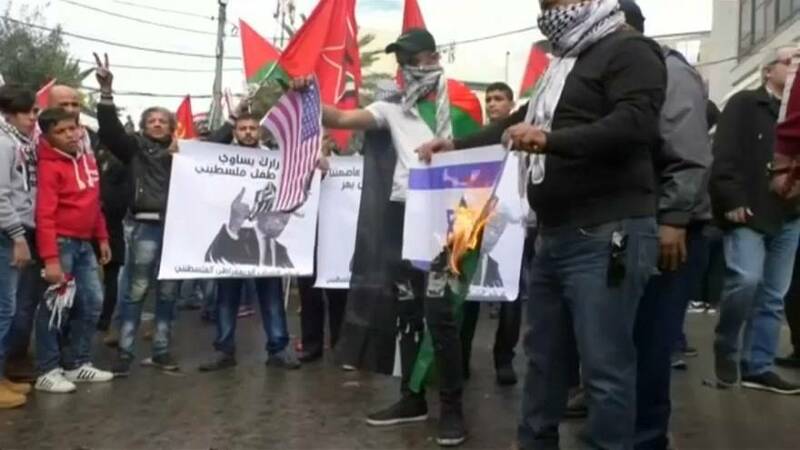 Protesters, some of them waving Palestinian flags, set fires in the street and threw projectiles toward security forces who had barricaded the main road to the U.S. Embassy in the Awkar area north of Beirut. Protesters burned U.S. and Israeli flags. Trump's recognition of Jerusalem has infuriated the Arab world and upset Western allies, who say it is a blow to peace efforts and risks causing further unrest in the Middle East. The government of Lebanon, which hosts about 450,000 Palestinian refugees, has condemned Trump's decision. Lebanese President Michel Aoun last week called the move a threat to regional stability.